Swimming to Antarctica is one of my all-time favorite books. So I was delighted when my cousin told me Lynne Cox had written another book. This is a quick read and tells the story of when Lynne encountered a lone baby gray whale while out for a training swim in the Pacific Ocean early one morning. Some of it is a touch woo-woo, but I was fascinated from beginning to end. I can't imagine how I would have reacted to an experience like this. I have an extreme fear of swimming with fish (we call that fear my "fishues". Like issues, but with fish) so I would most like have bolted for the beach at the first sign of animal life. This is a coming of age story. It takes place just after WWII and is the story of a teenage girl who gets caught up in a tangled mess of jealousy, theft, and possible murder. She learns that the people she loves may not be who she always thought they were. It's considered YA, but I enjoyed it thoroughly, though that is not my typical genre. I got this for free as part of my Book of the Month club order a couple of months ago. It's a very short book and I picked it up during quiet time intending to finish the whole book then. After some questionable content at the beginning, I set it aside. I wasn't sure I cared to finish it. But after a day or two I decided to pick it back up again. All in all, I liked the actual storyline. But there are some scary elements and some just plain yucky elements which make me feel like I can't recommend the book to others. I'm just sensitive to certain triggers. If you like a slightly creepy ghost story and don't mind language/ ick factor this might be a good fit for you. This was probably my favorite book of the month. It's the story of an estranged mother and daughter and the circumstances that bring them together for a short time. It's one of those "ordinary life" stories that is so profoundly engrossing it's hard to put down. I might even call it haunting. I loved it. The Glass Castle is one of my all-time favorite books, and one of the most powerful memoirs I've ever read. It's feels like a real life A Tree Grows in Brooklyn. I've been meaning to read Jeannette Walls' second book for a long time. I finally did and devoured it. This is the history of Jeannette's grandmother, stories passed down through generations. Her writing sucked me in and it was all I could do to put the book down to tend to my responsibilities. 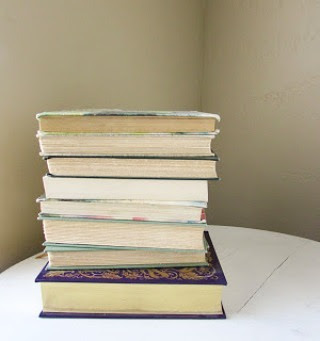 Audiobooks are one of the ways I am consistently able to read so many books each month. 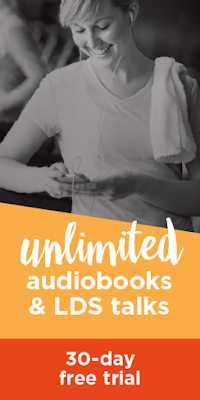 Have you heard of the new audiobook streaming service through Deseret Book? It's pretty incredible! You can find a list of all the available audiobooks here. The list is growing all the time! If you use my like you can try it out for 30 days FREE!